A new way for measuring the distance between planets and moons in our solar system and a revolutionary new way to clean up oil spills were among some of the finalists for this year’s BHP Foundation Science and Engineering Awards – Australia’s most prestigious high school STEM awards. Macinley Butson from Illawara Grammar School, Launceston College student Ivy Brain and Rosny College student Mitchell Torok have been announced as the winners of the 2019 BHP Foundation Science and Engineering Awards. Macinley and the other finalists have their eyes set on changing the world through medicine, environmental science and engineering with their excellent projects. Macinley Butson is a double finalist this year with two projects under consideration in the Investigation category. Both use science to improve people’s quality of life. Her first project called the SODIS Sticker accurately measures the solar UV exposure required to sanitise drinking water. This is done through a high accuracy transparent, UV sensitive film coupled with a partially UV blocking filter, which allows the SODIS sticker to measure direct UV exposure from the sun and reflected UV from other objects. At just over one cent to produce, it is also a cost-effective and safe way of purifying drinking water for developing communities. 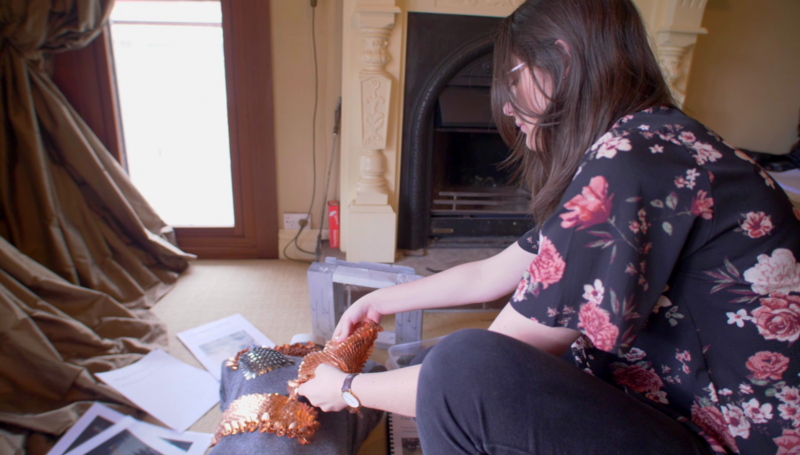 Her second project, the SMART System, continues from her 2017 project, SMART (Scale Maille Armour for Radiation Therapy) Armour. It incorporates the use of two devices, Macinley’s SMART Armour and SMART Magnetic Array (Specialised Magnetic Array for Radiation Therapy), which reduces tissue damaging electron contamination from radiation therapy. The SMART Magnet deflects the electron contamination away from the patient’s skin towards the SMART Armour, which then absorbs it. This prevents the patient’s skin from burning and also reduces the patient’s risk of developing another form of cancer in the long-term. Macinley is no stranger to success. She has been a finalist in the BHP Foundation Science and Engineering Awards six times and won the Engineering Award in 2016. Macinley showing how the SMART System works. Callum Predavec takes inspiration from the stars. He has combined physics and engineering to invent the Planetary Transfer Calculator which calculates the distance between any planet, moon or star in the solar system – much like Google Maps for space. This calculator allows anyone to tour the solar system via computer simulation or virtual reality, as over twelve thousand lines of code work hard to make this happen. It is also web browser-based, making it accessible to everyone interested in space. 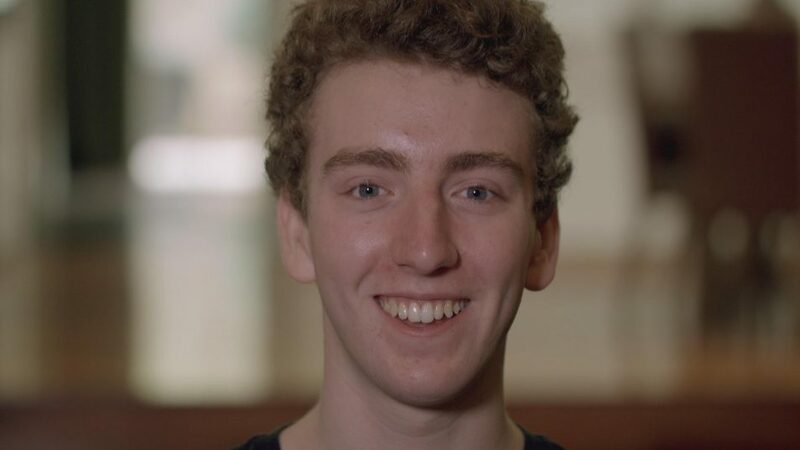 He previously received second place in the Engineering category alongside his brother Dylan for their Hi-Viz bike system, which alerted car drivers when they got close to the laser-made one metre circle on the ground. Callum’s head is space with his new invention, the Planetary Transfer Calculator. Angelina Arora has created a more effective and non-toxic way to clean up oil spills. Her novel method mixes algae and ferromagnetic (or permanently magnetised) nanoparticles with the oil and then uses a neodymium magnet to separate the algae and oil from the water. She then tested numerous types of algae and found the Scenedesmus obliquus strain of algae was the most effective in degrading the oil. 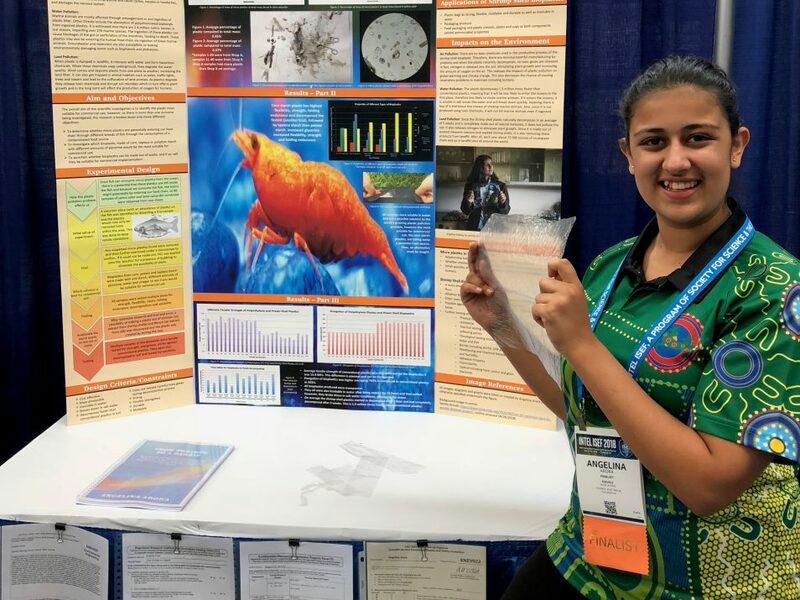 This environmentally-conscious teen has previously invented multiple types of bioplastics, including her winning Shrimp Shell Bioplastic. This combined the sticky protein from the silk of silkworms and a flexible protein from prawn shells to create a flexible, strong and completely biodegradable plastic. Angelina has been a finalist three times, including winning the 2018 Innovator to Market Award. Angelina’s project looks at environmentally-friendly ways to clean up oil spills. The BHP Foundation Science and Engineering Awards are a partnership between the BHP Foundation, CSIRO and the Australian Science Teachers Association. Six of the finalists will have the opportunity to go to Intel International Science and Engineering Fair (ISEF) in the US where over 1800 high school students from 75 countries, regions and territories are given the opportunity to showcase their independent research.